The rap superstar DMX has his demons and he refuses to let them go, not even for his own son. Check out this emotional and heartbreaking episode of Iyanla Vanzant's "Fix my Life". If you are a true old school Hip Hop fan you have watch DMX over the years, through his ups and downs but this has the be the most disheartening thing to see. 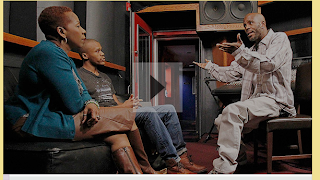 Multiplatinum rap artist DMX and his oldest son, Xavier, haven't spoken in a year and a half. Now, they've agreed to have an honest conversation about their broken relationship. Watch what happens when father and son come face-to-face once again.